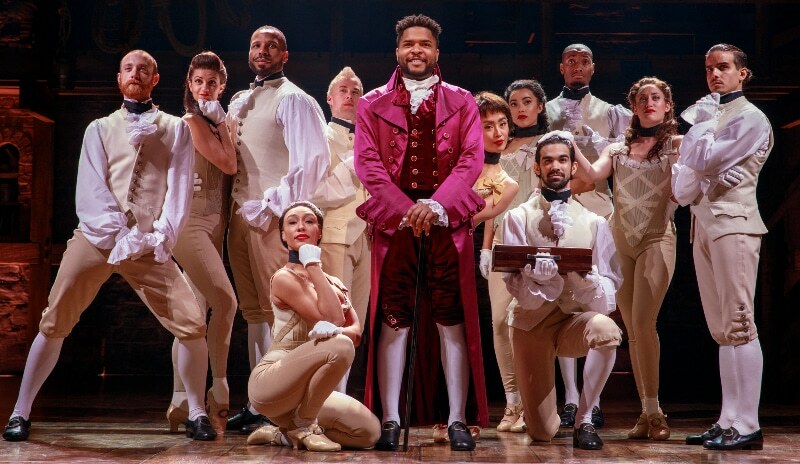 On Monday, the Denver Center for the Performing Arts announced that Broadway smash hit Hamilton will be making its grand return to the Mile High City next year! So if you weren't able to see it while it was here in 2018 (or you simply want to see it again), now's your chance. Let's just hope the process for obtaining tickets will be smoother this time around, unlike last year -- you know, without the computer glitches, long queues in the virtual waitlist, or endless frustration of it all. Hamilton will run at the Buell Theatre from August 12 to October 4, 2020. To receive alerts as information becomes available, please sign up at denvercenter.org/Hamilton. The Denver Center also stated that the Broadway season subscription package and performance schedule will be announced on March 4. Please note that the Hamilton 2020 engagement is NOT included on any DCPA subscription package. For more information, please visit the Denver Center's website. What do you think? Did you see Hamilton during its Denver debut last year? Are you planning on seeing it again in 2020? Let us know in the comments below. Cheyenne Mountain Zoo has planned a Penny the Giraffe memorial!